I came across the Savage Edge Lit Pro LED Light while on the Fstoppers https://goo.gl/nGhwc9 website and I was intrigued. I was intrigued because I love these new SMD Ultra-slim LED Panels everyone is releasing. I was intrigued because Joe Edelman really knows his stuff and if he's using something it's usually pretty good. I was really intrigued though, because I had seen it before. It's not the first time we've come across something that has multiple brandings or distributors, like Godox, Flashpoint, Cheeta, Neewer, etc. So when I saw Savage showing this light on their website, listed at $311.99, also at BH and Adorama, I was like "EFFFFFFF NO!" I literally sounded out the letter F to be clear. Why was I so pissed off you ask? Simply because I had seen this light before and I had seen it long before Savage released it. See I dedicate an hour of my day, early morning to be exact, for R&D. I scour the interwebs searching for new Photo/Video tech just to see what's out there. In the spirit of this forum, I'm always looking for alternatives and cheaper yet equally good solutions. In my searches, I had already come across the Yidoblo LED PE-920II as well as its brother, the LED PD-920II. As far as I can tell, the only difference in these models is that the PE-920II comes with a remote, which is something we'll get to because it's an important note, as you'll see. Who the heck is Yidoblo you may ask, as I did. Yidoblo is a subsidary of the Foshan Meidike Photographic Equipment CO. LTD, also brand themselves as Dison. If you visit their website http://meidike.com/en/, they have sh**load of lighting products, which if you have spent time on ebay, Aliexpress, or any other international marketplace, you may recognize. Some of their products can be found on Amazon as well. 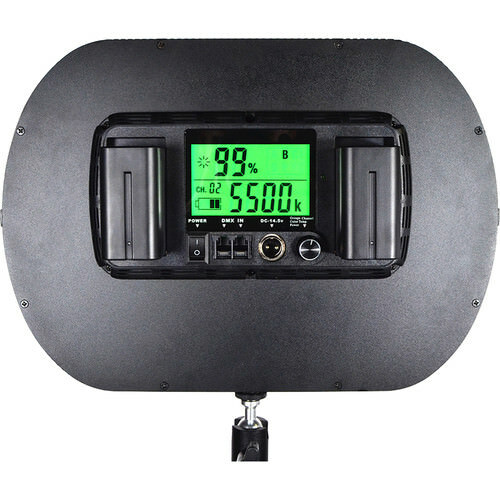 2.4G wireless remote control, can control the AE six groups of lights, each group of lights can support 100 lamps; remote control distance of up to 80 meters; power stepless adjustment, the output precision to 100 , the operating data LCD screen intuitive display, easy to operate, Easy to remember to improve work efficiency, can be installed on a tripod / handheld / desktop. Whether you read the specs over at BH or on Savage's website, it's clear these guys are identical. The only question you may be asking, is maybe Yidoblor ripped off Savage? I don't think that's the case. If you look at the inlcuded photos below, you'll notice that the Yidoblo light comes with a special made Yidbolo remote controller. The Savage also comes with a remote control, but that controller is a knockoff of the remote you find when you buy any Godox remote system. That's right, they may have modified the frequency, but it is the same model. So why does this matter? Well you can buy the Savage LED for a little over $300, and to their credit, they package it very nicely. At the same time, you can find the Yidoblo scattered over ebay, Aliexpress and Amazon for ~$140-$160. That's a huge price difference. UPDATE** I ordered the Yidoblo light and it just came in the mail today. I don't have time to do a whole unboxing video, as I'm backed up on work this week. That being said, I plan on opening it today and testing it over the next few days. I'll let you all know my findings asap. How about unboxing photos, do not need much time? First Impressions: The product box came with a slight dent, but that's likely due to being opened at customs, I assume. One thing Savage probably has an edge on, is the way it's packed. The Savage version comes packed in a case, and includes Sony NP batteries and a charger. The Yidoblo version comes with everything just thrown in there, and also the instructions only come in one language that isn't English. You can see in the review video below, that his unboxing looks similar to my photos with some small differences. The box is different, absence of a case, and the Yidoblo remote is actually a camera-top remote. I haven't been able to open the battery door yet, yay, but it doesn't come with batteries (which type, I have yet to determine).